Bank of England governor Mark Carney. Photo courtesy of the Bank of England Flickr page. “But things have been changing. Our economy now needs a little less support because it is growing a little faster than it has capacity to and inflation is above our 2% target. To ensure a sustainable return of inflation to the target, we need to keep the economy growing at around its speed limit. “That is why we raised the official interest rate from 0.5% to 0.75% in August. The UK’s central bank also went on to highlight the historic lows of the current interest rates, providing context in an attempt to allay fears of those who have shown concern about rate rises hindering the flow of money and cost of loans. BoE governor Mark Carney spoke at a press conference to journalists following the Bank’s announcement, saying that UK firms are “understandably postponing investment” while they wait and see what the future brings, and suggested that regardless of the outcome, UK interest rates are historically low and thus may be raised even in the event of a no-deal Brexit scenario. “There are circumstances where policy needs to be tightened” - Mark Carney admits interest rates may need to rise in the event of disorderly Brexit, even if there’s a recession. Although he notes No Deal is “not the most likely outcome”. The global rating agency Standard & Poor’s has already issued a warning to the UK that recession will hit in the event of no deal, claiming that rising unemployment would sink household incomes and act as the trigger. 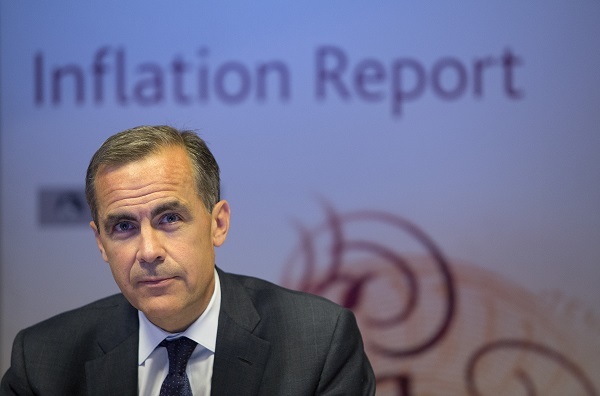 Carney’s logic is similar: he believes that inflation could rise if the Pound slumps, as bad Brexit news has already shown it can have such an impact. EU tariffs on the UK would exacerbate matters, so the interest rates would control inflation, but this is a double-edged sword – controlling inflation this way could severely harm business and household confidence in the UK economy through the increased cost of credit. “Consider what happened two years ago. The then-chancellor and the Bank warned before the referendum that interest rates might rise if the UK voted leave. Most economists and commentators, myself included, said that this seemed deeply implausible. “Lo and behold, at the first practicable moment after the referendum the Bank cut interest rates. It even pumped an extra few tens of billions of pounds into the economy through quantitative easing. Analysts are now expecting the next interest rate rise to be in May 2019; two months after the UK officially leaves the European Union which should give enough time to extrapolate economic data to make the best decision on a rate rise. The Bank’s Brexit hesitance isn’t unwarranted either. UK manufacturing hit a 27-month low yesterday according to the latest market figures from IHS Markit, with the PMI (activity measure) down from 53.6 to 51.1 in October. Territory described as Growth is 50 points and above. It’s not all doom and gloom though. The Pound registered an impressive fightback yesterday after The Times reported that Prime Minister Theresa May and EU negotiators in Brussels had agreed a tentative deal on all aspects of Brexit, including continued access for to Europe for financial services based in Britain.